Coinciding with the celebration of Canada's 150th anniversary and the Ontario Council of University Libraries (OCUL) 50th anniversary, Ontario's university libraries are releasing a collection of over 1000 historical topographic maps of Ontario. The project highlights Ontario's rich history and changing landscape over the past 100 years, and is evidence of how Ontario's academic libraries continue to play a key role in preserving our national and provincial heritage in the digital age. The project is a province-wide collaboration, led by the OCUL Geo Community, an open forum for the exchange of information relating to maps and GIS, to digitize and geocode early topographic maps of Ontario at the 1:25000 and 1:63360 scales. The maps were originally produced by the Department of National Defence (until 1923: the Department of Militia and Defence) and show a variety of both natural and man-made features covering towns, cities and their surrounding areas in Ontario, over the period of 1906 to 1977. This project represents the single most comprehensive digitization project of the early-National Topographic Series map collection in Canada. Early topographic maps are heavily used by historians and researchers interested in examining change over time. The project aims to improve access to the maps by making them available online and offering visual exploration through the project website and in the Scholars GeoPortal platform. There is benefit for Ontario’s students in having access to these resources. A project with the functionality of this one makes discovering the history of land use/development in Ontario far more accessible both for researchers and as a learning tool for students, says Ted Wilush, McMaster University Bachelor of Commerce graduate, and map enthusiast. Researchers and students can explore the maps and compare changes over time using the GeoPortal's map viewer that contains current base map data and a transparency slider feature. The ability to use layers to compare the same (map) sheet from multiple eras against both each other and a modern map/satellite image is invaluable, Ted states. Ontario's university libraries have been working together through OCUL on initiatives such as this since 1967. Preserving and expanding access to the broad research collections held by Ontario's university libraries is at the core of OCUL's collaboration, explains Vivian Lewis, OCUL Chair and University Librarian at McMaster University. It is exciting to have this collection digitized and openly available to the public. The OCUL Geo Community (previously named the OCUL Map Group) formed in 1973 to communicate and collaborate on map projects, including a union catalogue of topographic maps. Moving forward, the group plans to engage with the larger map community in Canada about the project, and identify opportunities to build on it to include other maps from this national collection. We hope this is a first step to developing a national framework for map digitization in libraries and improving access to these rich historical maps for researchers and the public at-large, states Lewis. In 2017, OCUL is celebrating its 50th anniversary, and this project demonstrates the ongoing success of this collaboration. For more information about OCUL's Historical Topographic Map Digitization Project visit http://ocul.on.ca/topomaps. Cambridge University Library Map Department has three spectacular, and very large, maps of parts of Burma painted on cloth by Burmese artists some time around 1860. The Brussels Map Circle decided from 2017 onwards to communicate only electronically to the Members. In case you do not receive WhatsMap?, invitations to participate in our events or to pay membership fees, please send your email-address to secretary@bimcc.org. Students of the history of cartography are invited to submit papers for the 2017 Ristow Prize competition. Undergraduate, graduate, and first-year postdoctoral students of any nationality are eligible to compete. Papers must be in English, not exceeding 7500 words, and should be submitted by 1 June 2017, to Evelyn Edson, 268 Springtree Lane, Scottsville, VA 24590, U.S.A. Appropriate illustrations, especially maps, are encouraged. The winning essay will receive a cash prize of USD 1000.00 and will be published in The Portolan, the journal of the Washington Map Society. The prize, named in honor of the late Dr. Walter W. Ristow, is sponsored by the Washington Map Society of Washington, D. C.
For more information, including a list of previous winners, go to the website www.washmap.org or contact Dr. Edson at eedson@pvcc.edu. 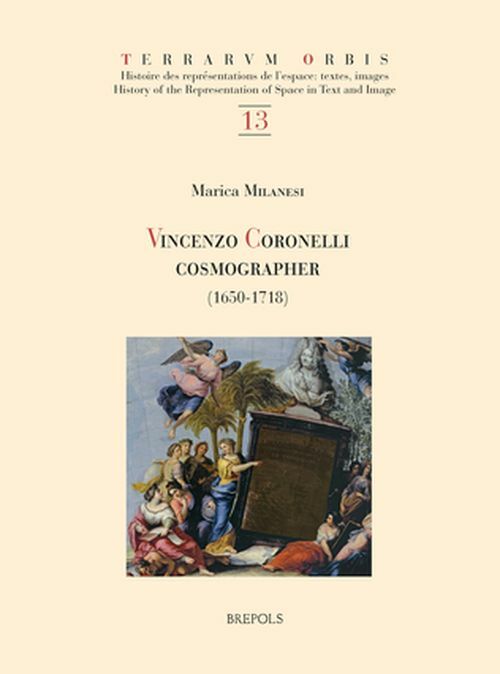 We are pleased to announce the publication by our Sponsor Brepols of Vincenzo Coronelli | Cosmographer (1650-1718) by Marica Milanesi. 472 pages, 44 col. ills., 210 x 270 mm, ISBN 978-2-503-56461, EUR 125.00. Special price and free shipping for the members of the Brussels Map Circle: EUR 95.00 excl. taxes. Orders: send an email to info@brepols.net and quote the following discount code BMC310317. The article published on the Brussels Studies Web site presents the conclusions of a book published concomitantly by the Bibliothèque royale de Belgique: Philippe Vandermaelen, Mercator de la jeune Belgique. Histoire de l’Établissement géographique de Bruxelles et de son fondateur. This publication is the result of twenty-five years of research in the Maps & Plans section, the depository of the exceptional cartographic and documentary collection from the Établissement géographique de Bruxelles. The article and work it refers to present the life of the visionary geographer in a chronological journey centred on his cartographic production (methodology, collaborations, surveys, levelling, commercial management, etc. ), ending with a passing of the baton to the Dépôt de la Guerre, the future Institut géographique national. It also opens the doors to Vandermaelen's different institutional creations in a cross-cutting approach: the documentation centre, the natural history gallery, the lithography school and the École Normale, the museum of ethnography, and the organisation of scientific expeditions. Read the article on http://brussels.revues.org/1438. These leading Belgian auction houses have decided to join forces and, thus, become the largest book auction in Belgium and the Netherlands, specialising in rare, old, and modern books, manuscripts, autographs, drawings, prints, photographs and atlases and maps. The two auction houses will merge gradually over the course of 2017 and eventually move to a new, larger location in Brussels. Johan Devroe and Henri Godts will continue to build their expertise in concert with a professional team of about a dozen employees.